Alzheimer's Disease affects over 47 million people worldwide but 90 per cent of cases can be prevented. 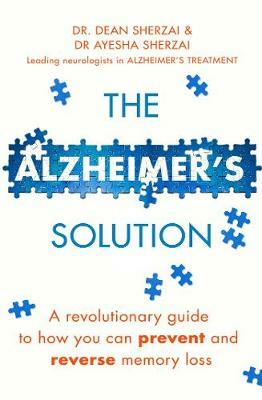 Based on the largest clinical and observational study to date,The Alzheimer's Solution, by leading neurologists and Alzheimer's specialists Drs Dean and Ayesha Sherzai, provides the essential practical tools you and your family need to reverse the symptoms and prevent cognitive decline. Alzheimer's disease isn't a genetic inevitability and a diagnosis does not need to spell the end of things. Ninety per cent of us can avoid ever getting Alzheimer's and for the 10 per cent with strong genetic risk for brain decline, the disease can be delayed by 10 to 15 years. This is based on the remarkable results Dr Dean Sherzai and Dr Ayesha Sherzai have seen firsthand in their own clinic.